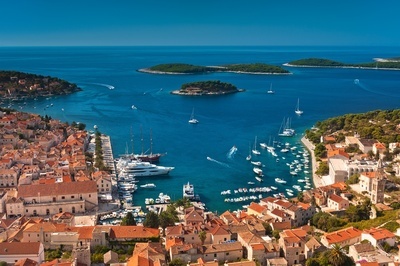 Europe's first modern seaplane network that is set to land in Croatia this spring – and dramatically improve access to its glamorous Adriatic islands - will see property investment take off, according to a local developer. Buyers searching for luxury holiday homes in exciting new waterside locations are expected to turn their attentions to the shores of the EU’s most recent member, thanks to the arrival of new hydroplanes that will open up some of the country’s most stunning locations, said the owners of Pin&Pin. Company directors Adam and Alexander Pinion, who have been acquiring, designing and building premium villas along Croatia's Dalmatian coast for the past decade, said this is both a historic moment in aviation history and aspirational tourism. The transport project from European Coastal Airlines, which has been 13 years in the making, will see seaports open at Dubrovnik and the Dalmatian capital of Split from May. Seaplanes will then provide air links to the popular island destinations of Hvar, Vis, Lastovo and Korcula, which will dramatically reduce transfer times. Alex said: “Croatia is a captivating and seductive destination, with its Riviera already a hotspot for the chic and glamorous thanks to some of the world’s cleanest waters in the Adriatic Sea, the Mediterranean climate and romantic beauty of its historic buildings. “Pin&Pin is experiencing an increase in interest from investors keen to buy into an opulent lifestyle of cool outposts, marinas and yachts. Many are particularly excited at the opportunities to explore the nearby islands in luxury, aboard one of the new hydroplanes. "Seaplanes will allow people to explore some spectacular island locations in style, discovering secluded beaches, waterfalls and pine scented woodland. Currently Pin&Pin clients travel by helicopter to the islands to avoid the time-consuming ferry system that takes around an hour. Hydroplanes will allow visitors to reach the popular island of Hvar in just 10 minutes from Split, with tickets starting from €26 per passenger. 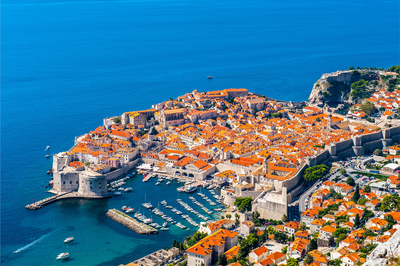 Seaplanes in Croatia will also make it even easier to escape to the Adriatic islands for short breaks. Pin&Pin was founded in 2004 with a single aim - to build the most exceptional homes. For more information, visit pinandpin.hr.